In the late 1980s her career as a writer shifted to words instead of music. Since then she has written over 1,000 hours of serial television. 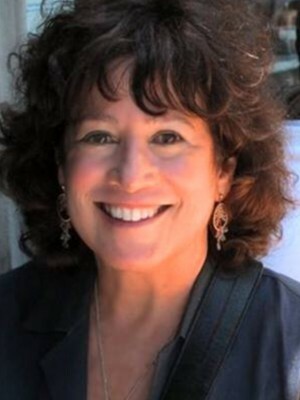 She has held staff writing positions on Port Charles, Sunset Beach (for which she received a Writers Guild Award nomination), General Hospital and The Bold and The Beautiful. She co-wrote/produced the television movie A Place at The Table (NBC), starring Danny Glover, David Morse, Susan Dey and Lukas Haas (for which she received a Christopher Award and an Ollie Award) and A House of Secrets and Lies (CBS), starring Connie Sellecca and Kevin Dobson. She co-wrote the original feature-length screenplay, Ohmigod! for Touchstone Productions. In 2004 she traveled to Moscow for Sony Pictures Television International where she wrote for the series, Poor Anastasia, Sins of the Father and created Dear Masha for Russian television. She also taught a team of Russian writers how to write for serial television. She received a grant from the Austrian Ministry of Culture to write The Goldsmith’s Daughter, a play-in-progress about her family in pre-war Vienna. She has mentored countless writers to completion of their books, taught classes since 1995 and conducted large writing workshops for organizations. Her books include, From Cowboy to Mogul to Monster, a biography of producer Mark Damon. Tears and Tequila (with Jo-Ann Lautman) is her first novel. You can find more about Linda at at her IMDB profile.